View of incised boundary marker. (Entered as within parish of Cabrach). 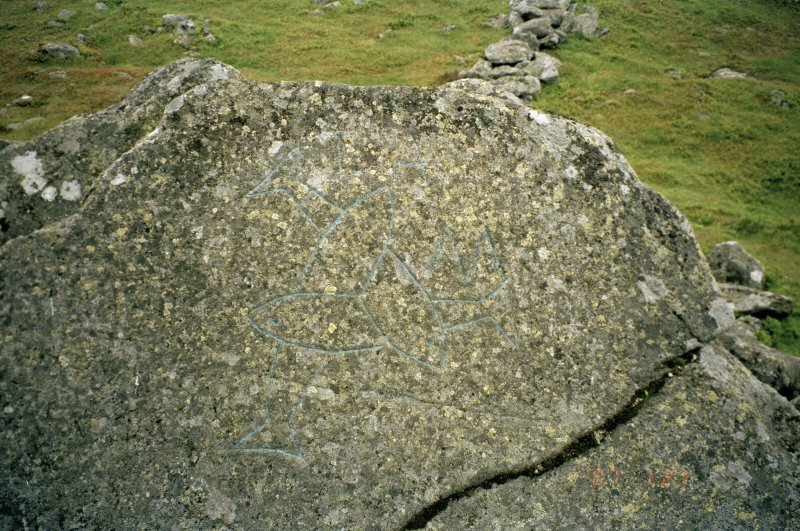 At approximately NJ 4118 2337, about 100.0m SW of the summit of The Buck (2367ft O D) is a section of exposed living rock upon which is incised an interlocking fish motif. It measures some 0.4m across and is well weathered. The carving does not seen to be as ancient as Pictish or medieval; there is some resemblance to the late 18th century seal of the British Fisheries Society as incorporated in the arms of Poultneytown (now absorbed in Wick). The arrangement of the three fish is different; there the heads are all upward, and there is a crown above the device. Information from J Hall, OS, Inverurie; Information from R B K Stevenson of the National Museum of Antiquities of Scotland (NMAS) to J Hall 1 November 1976. (Entered as within parish of Cabrach). The Buck (NJ 4121 2339) is situated at the junction of the parishes of Cabrach, Auchindoir and Kearn, and Kildrummy. Information from RCAHMS (RJCM), 20 February 1998. (Location amended to NJ 4122 2338, within parish of Auchindoir and Kearn). 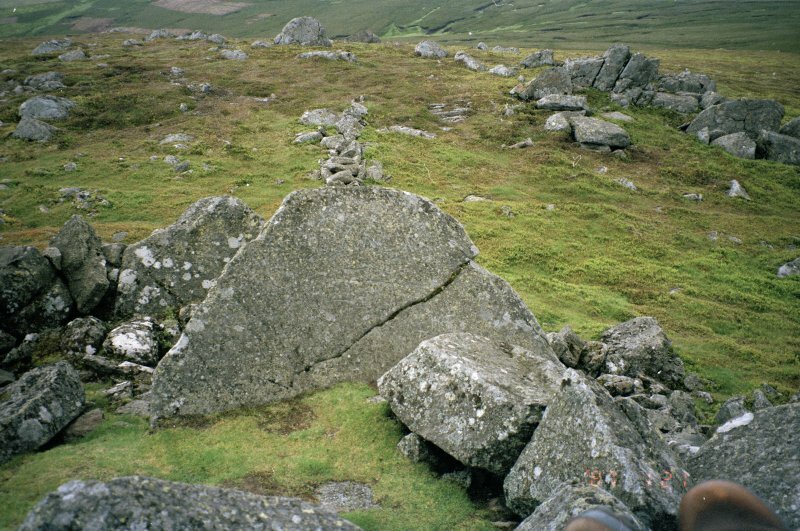 Contrary to previous (1976) reports, this incised rock is not situated about 100m SW of the summit of The Buck, but lies about 5m to the SE of the Ordnance Survey triangulation pillar on the summit of the hill. 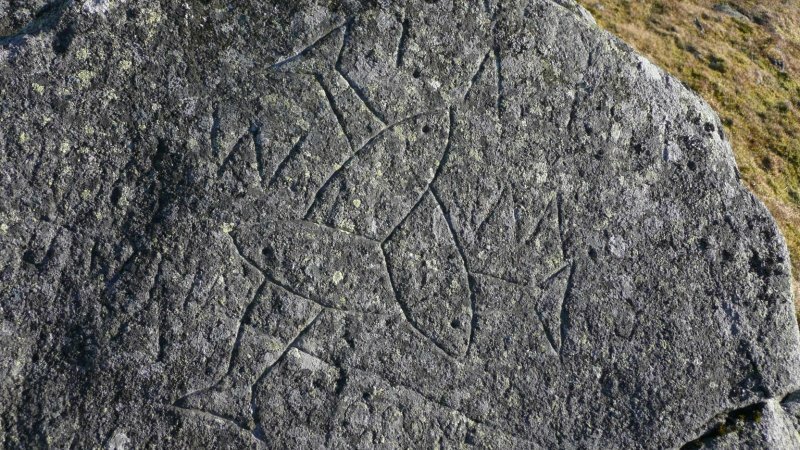 The incised motif, which has been cut into the NW face of the rock, comprises three intertwined fish, the tails of which are, respectively, on the bottom left, the upper left, and centre right of the motif. The fish measure up to 0.53m in length and in each a single eye has been marked by a small circular depression. 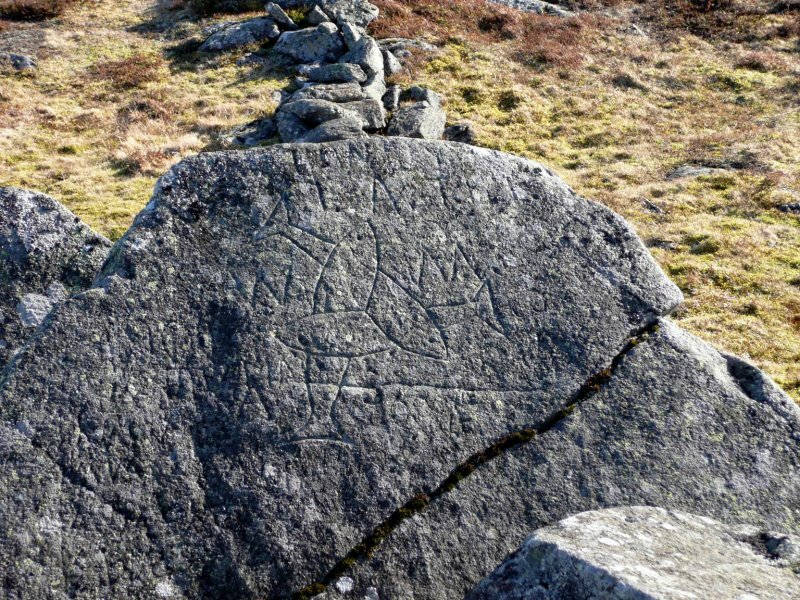 The face of the rock also bears a number of incised letters, including the initials 'TA' above the motif and the letter 'M' close to the left side of the motif. 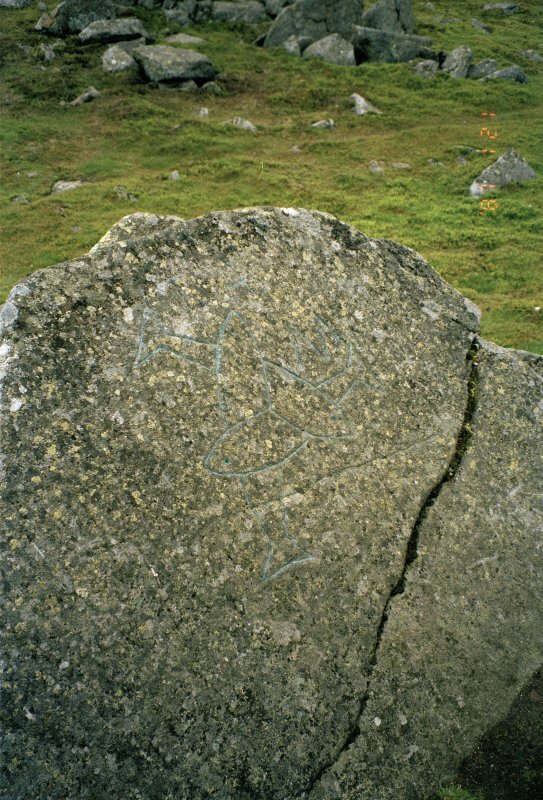 Visited by RCAHMS (JRS, ATW), 7 July 1998.